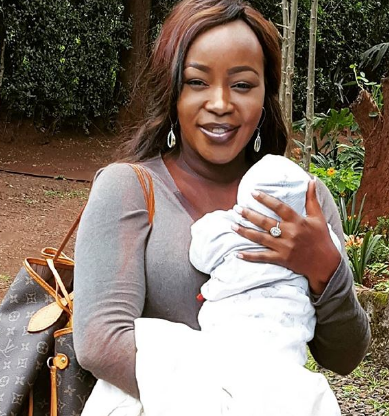 Talented news anchor and former Citizen TV employee Terryanne Chebet spent the better part of the long weekend in hospital. It is however not clear what illness Terryanne is suffering from but judging from her busy schedule we have seen lately, change of climate or fatigue might have played a big part. 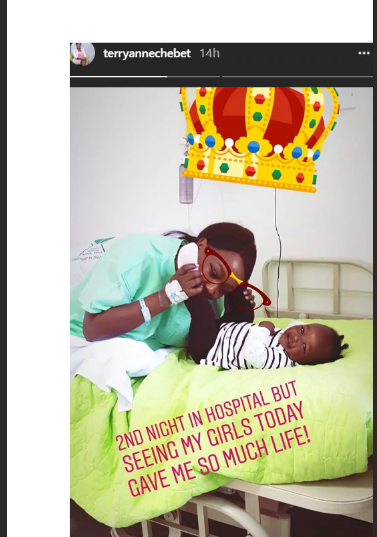 Taking to Instagram, Chebet shared that she’s spent two nights in a hospital bed but was glad she her saw her daughter who was brought for a visit. “2 night in hospital but seeing my girls today gave me so much life,” she said in the post. The news anchor is just coming from a South African summit which involved business in African.